We’d love your help. 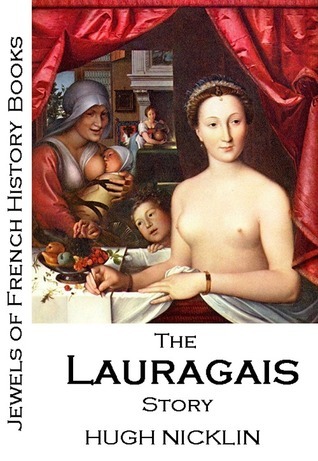 Let us know what’s wrong with this preview of Jewels of French History Books - The Lauragais Story by Hugh Nicklin. This is the story of the Lauragais region in the South of France. Spanning some 5000 years, it starts a considerable time 'Before Christ' and ends in modern times. Targeted mostly at expats or tourists to the region that have never had a chance to explore its history or realise the significant part the Lauragais played in the history of France. The Lauragais was central to This is the story of the Lauragais region in the South of France. Spanning some 5000 years, it starts a considerable time 'Before Christ' and ends in modern times. To ask other readers questions about Jewels of French History Books - The Lauragais Story, please sign up. This book for me is really interesting because it is helping me to discover the region of France I live in. Clearly you hear what has gone on and you pick up snippets of past history, but to read a well researched book written about the region, which is my doorstep, is a journey of discovery. Where France sits in the world today to an extent is as a result of the events that took place in this region around the thirteenth century.